The insane amount of planning, trial and error that it takes to build a Lego mosaic is one of the main reasons why I think people shy away from doing them. Brickit takes some of the guess work out of the planning stages with an easy to use application. Just upload a picture and this free application made by Shaun VanWeelden will sort out your construction for you. It will even spit out a parts list and basic instruction sheet! Years of 8-bit video games have made me love the pixelated way that Lego mosaic art turns out when it is complete. It takes a ton of work, especially if you are using 1x1 tiles or plate to make your image. Brickit will convert your image to individual studs or give you a brick built version as well. The above were made from this original image taken by Kyle Lackey of one of my cars. 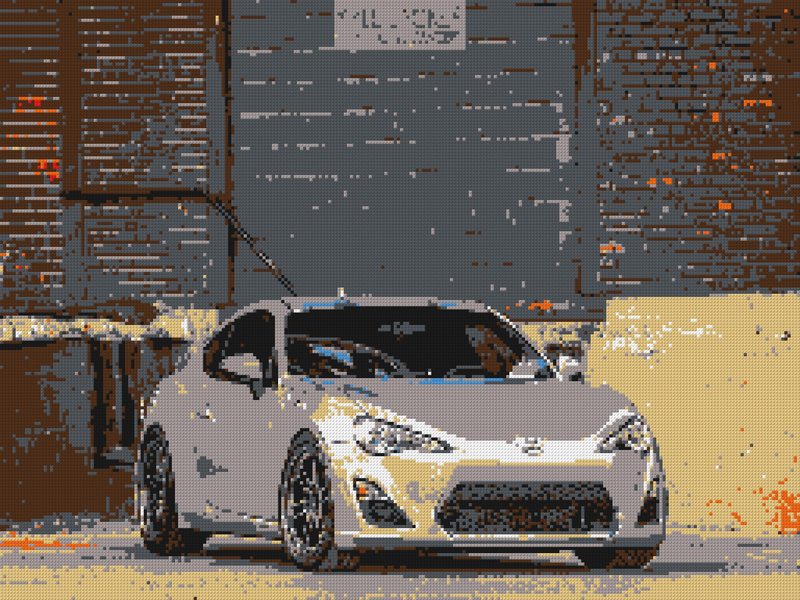 You can bet one the first mosaics that I put together is going to be of some gear head stuff. Here is the Leg Godt logo after a Brickify!